Cofán Indigenous leader of the Alianza Ceibo. 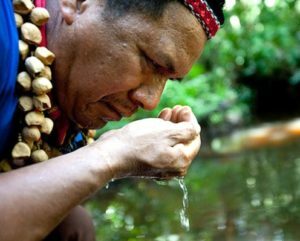 While in most rainforests countries of the world Indigenous People have been recognized as inhabitants of the forest, their recognition does not mean that their rights, territories, resources and cultures are respected by their own governments, corporations, loggers, cattle ranchers etc. who with great impunity invade Indigenous lands and territories. This emergency takes the form of land evictions, displacements, forced relocation, and state and corporate violence against Indigenous Peoples. 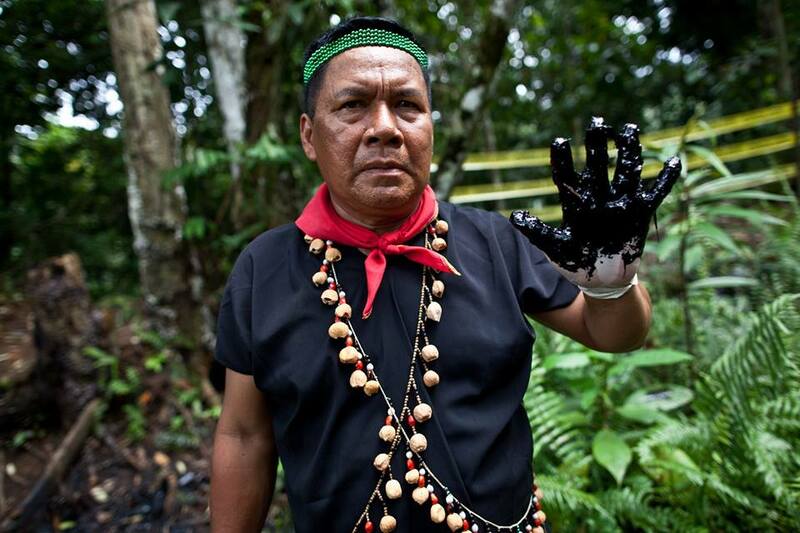 Much of the world’s natural resources lie on or beneath land occupied by Indigenous Peoples. The crisis over land and natural resources explains why the Indigenous issues are environmental and development issues and of great concern to Rainforest Fund. 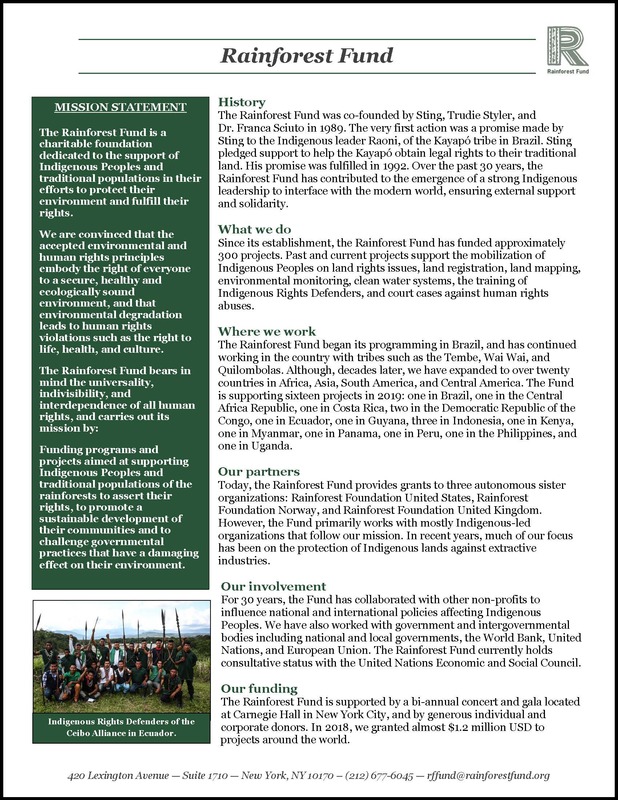 From the support by school children to individuals, Rainforest Fund has been able to partner with the Indigenous Peoples of the Americas, Africa, and Asia. These partnerships with Indigenous communities are critical, however they will have a greater impact when the public is involved. 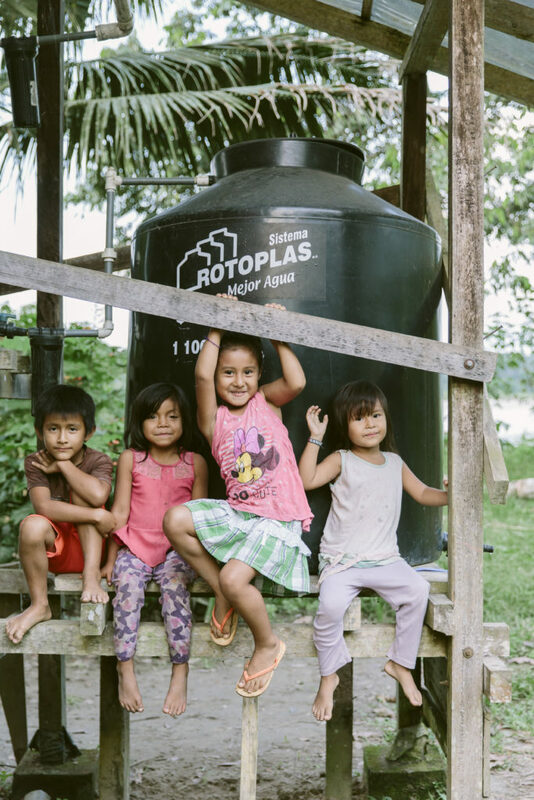 Rainwater catchment system installed by the Alianza Ceibo in Ecuador. Start discussions about the plight of Indigenous Peoples in your community, school, and workplace. Reach out to us about starting a local fundraiser. Become an individual or corporate donor to support our Indigenous partners in the field, or support a project of your choice. Contribute to our Rainforest Fund blog. Do you want to blog on Indigenous issues and the rainforests of the world? Want more information or ideas on how you would like to support the Rainforest Fund and our partners, please contact Jennifer through our Contact Us page.